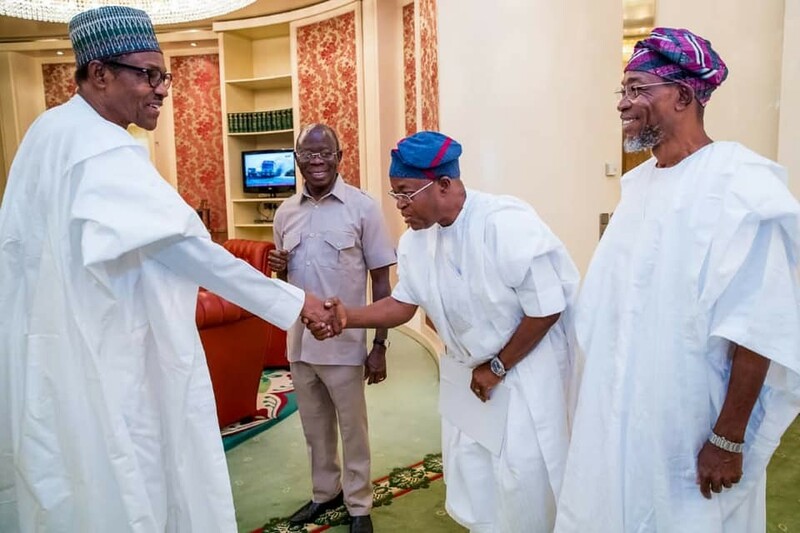 Osun State Governor, Rauf Aregbesola on Friday led the state governor-elect, Gboyega Oyetola, to a meeting with President Muhammadu Buhari at the Villa in Abuja. 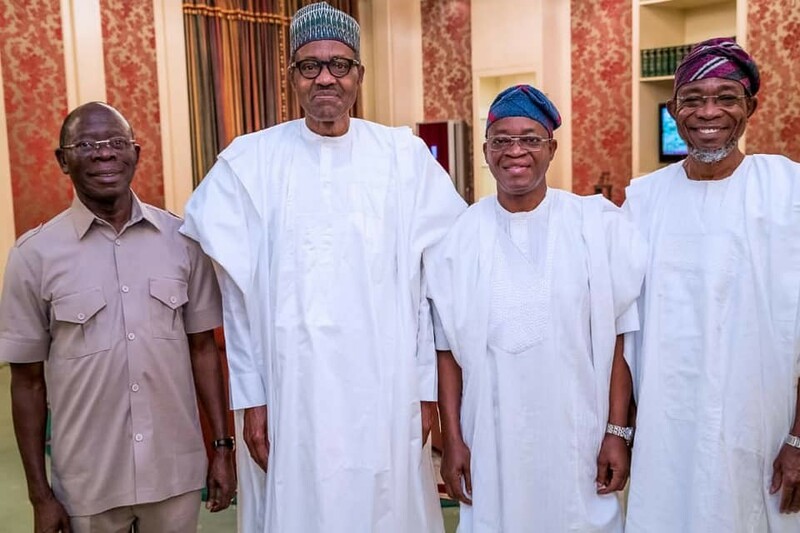 The meeting was held at the President’s office. Oyetola was declared the winner of the governorship election in Osun State by INEC after a re-run election that all major observers have described as a fraud with unprecedented intimidation and rigging, backed by men of the Nigeria Police.